It’s the most wonderful time of the year! 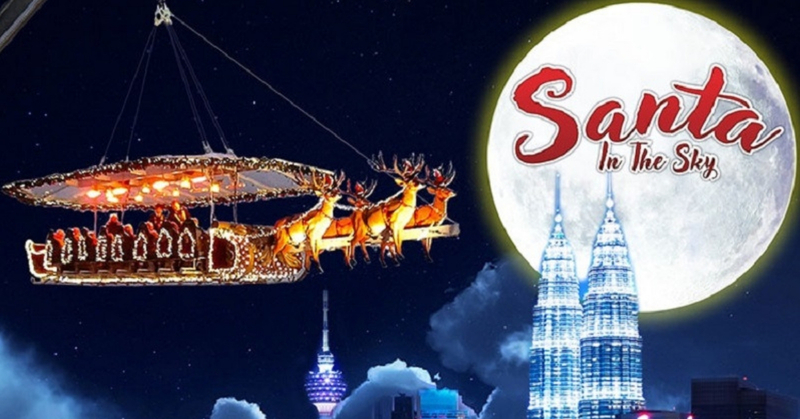 As Christmas is just around the corner, why not take the time off and spend some quality time with your loved ones by having a nice dinner at 150 feet above the ground while enjoying the breathtaking view of Kuala Lumpur city’s skyline? There are several packages available for selection, such as Economy class, Business class and of course First class with prices ranging from RM 499 to RM 1,499 per person. If meat is not your kind of thing, fret not because they also have a menu specially made for vegetarians!. The cherry on top of the cake? Vegetarian or not, a Michelin Star Chef will be putting together a scrumptious spread for you while you indulge in the wonderful view and food! Santa in The Sky will only be available for a limited time only, which is from 30th November – 31st December 2018. Do note that the seats are limited too as they only have two to three slots per day and each slot can accommodate up to 16 people. Want to feel the Christmassy feels? Then this is the perfect place for you to be in this Christmas, especially with their Christmas carols while you’re having a warm dinner with your loved ones beside you. Hurry up and book your slot today at Dinner in The Sky before they are fully booked!